Want to learn how to create a serverless workflow with AWS Step Functions and AWS Lambda? Learn more. Hear how Coinbase uses AWS Step Functions and AWS Lambda to perform hundreds of deployments a day, and how Step Functions and Lambda have enabled the team to achieve a 97% success rate for deployments. Greg Campion, Systems Admin at Paessler AG, shares how they use AWS Lambda and AWS Step Functions to conduct and monitor VPC mass creation for their PRTG Network Monitoring product. Sunil Kumar from Zalora explains how their serverless automation with AWS Step Functions, AWS System Manager, and AWS Lambda has reduced their SAP system refresh time from 5 days to 2 days. Hear how Trulia Rentals adopted a serverless approach to accepting, processing, and analyzing customer leads as they migrate from their legacy customer leads system. Yu Yamada, Big Data Architect, explains how they built automated, scalable and robust machine learning pipelines with AWS Lambda, AWS Step Functions, AWS Batch and Amazon DynamoDB. Fox Network shared media processing workloads across their existing facility and AWS to dynamically provision and scale resources and automate the flow of their entire media supply chain. ClearDATA built a solution that provides their customers additional AWS security controls to check that changes made on the customer's account are in accordance with their security policy. 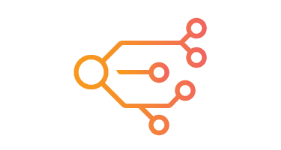 MirrorWeb addressed the challenges on long running tasks during a website archival process by leveraging Step Functions and Lambda to launch and delegate a task to an EC2 instance or Docker container via ECS. Regulated workloads need more than rock solid security to be compliant. Adam from CMD Solutions and Mat from nib health funds share a clever way to use Step Functions to automatically spin up as well tear down security posture. Zapproved helps customers in the legal industry streamline e-discovery. Lee from Zapproved demonstrates how they use Step Functions, Lambda, and SQS to automate data processing. To learn more, read the case study. Encirca Services by DuPont Pioneer partners with farmers in the field to help them deliver optimal crop yields. They built a cloud based collaborative platform for farmers to simulate crop growth and manage soil nitrogen levels. You can now use a local version of AWS Step Functions to develop and test your workflows, using AWS Step Functions Local. The new AWS Step Functions Service Level Agreement (SLA) makes AWS Step Functions available with a Monthly Uptime Percentage for each AWS region. AWS Step Functions now available in AWS China (Ningxia) Region, operated by NWCD and AWS China (Beijing) Region, operated by Sinnet.